Choose Allstate Sweeping for heavy duty broom sweeping, as well as power washing and snow plowing. Clients include CDOT, RTD and more. 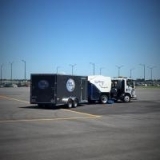 CAM offers sweeping, snow removal, exterior maintenance and airport runway cleaning services. 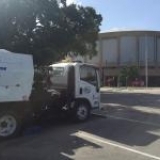 TJK Services is a full-service sweeping and exterior maintenance firm located in Bloomfield Colorado.